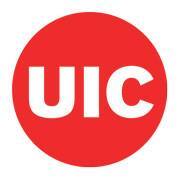 The UIC Chapter of the AMA is one with great ambition and business spirit. We provide opportunities for our students to become more involved in the downtown Chicago area through marketing projects with local businesses and major corporations. UIC AMA also gives back to the community to help those in need. We pride ourselves on shaping innovative and ethical leaders who will make a difference in today’s business world. Site Visits – Provide visits to companies present in the Chicago land area. Fun and Relaxed Networking Events – Opportunities to build professional and personal connections. Business Workshops – Provide students with real world experience. Professional Guest Speakers – Provide insight regarding their experience in the business field. Leadership Opportunities – Volunteer positions to lead and manage teams. All majors are welcome! If you are interested in joining, send us an e-mail at amauichicago@gmail.com. In order to participate in ALL of the UIC AMA activities and events, members are required to join the National Chapter of AMA. The National Student Membership Fee is $50.00. You can join by visiting ama.org!